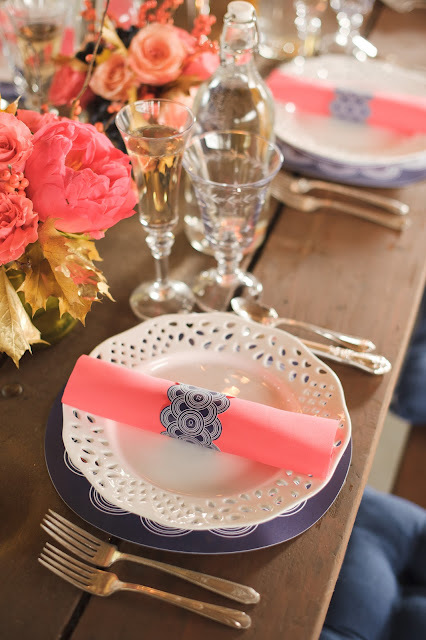 Ahhh, I am so in love with this amazing engagement party from The Heart of the Occasion, such a lovely palette of colors and just plain magical when it comes to the little details. 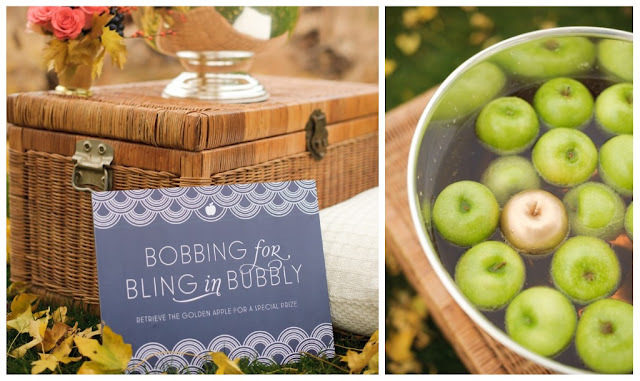 And although we are in the thick of summer, it is just the right time to start planning an engagement party for your favorite couple that has agreed to say 'I do' this summer! And it's not just the party that is making me so utterly happy...but the most amazing new concept to include a 'Muddling Bar'!!! 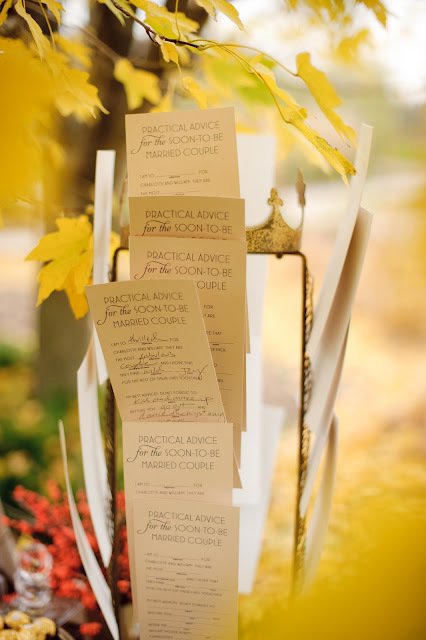 The options are endless and your guests will have EVER so much fun! 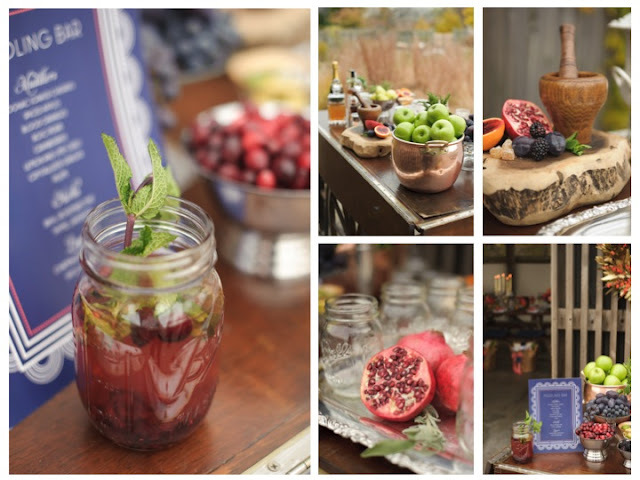 From Mojitos, to Old-Fashions, to Mint Juleps, and beyond...expect to see a lot more of these in the upcoming months; a special kind of DIY for your guest to join in on the fun! But without further adieu, you simply have to see this party . . . 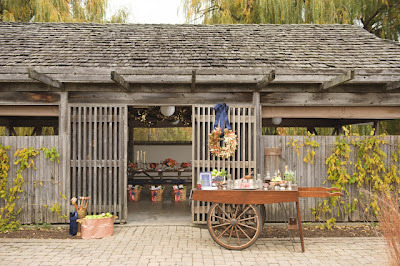 This stunning event was thrown by the couple's best friend at the Pullman Barn (property of the Chicago Botanical Garden). 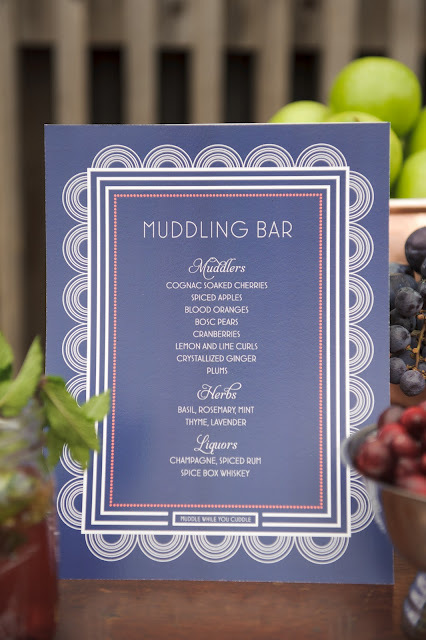 Guests could create a one-of-a-kind concoction at the muddling bar . . . 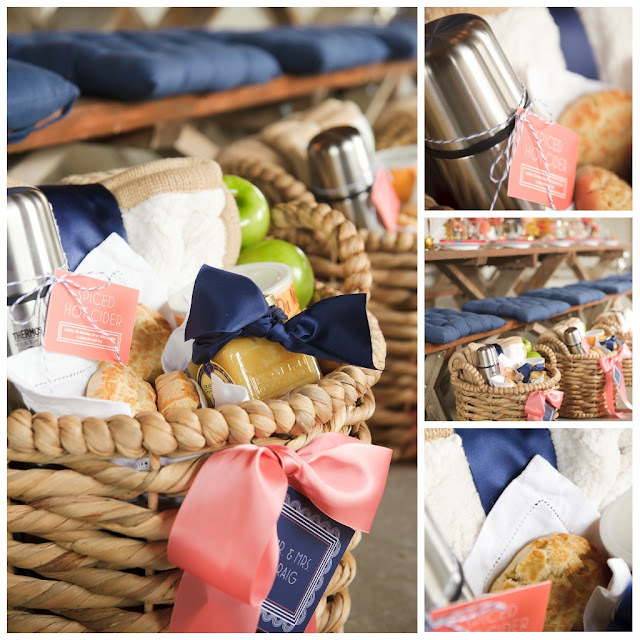 In lieu of traditional place cards, guests found these amazing picnic baskets with their names on them to mark their seats instead. 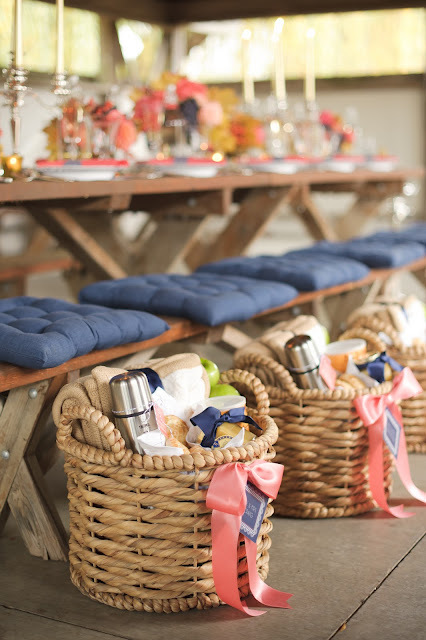 And just in case a ton of picnic baskets aren't in your budget, I do believe these baskets would make an EXCELLENT & creative way for a bride & groom-to-be to ask their nearest & dearest to be in their wedding party . . . The gift baskets were themed "For a Lazy Sunday Morning" and included items intended to be much appreciated after a late night of celebration. 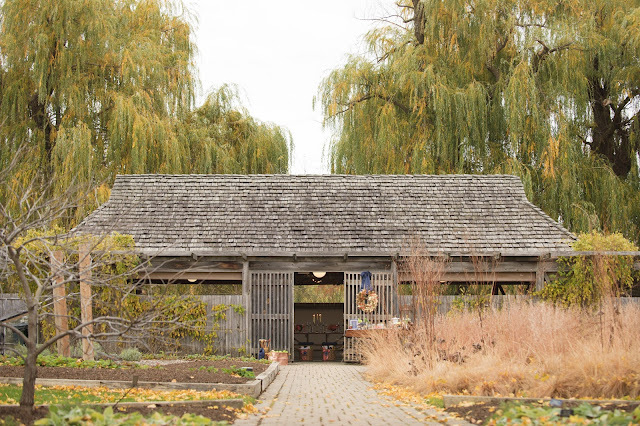 Each was packed with a thermos ready for hot cider (just add water), fresh scones and apple-honey butter, super strong coffee, a seriously cozy blanket and crisp, fresh apples. 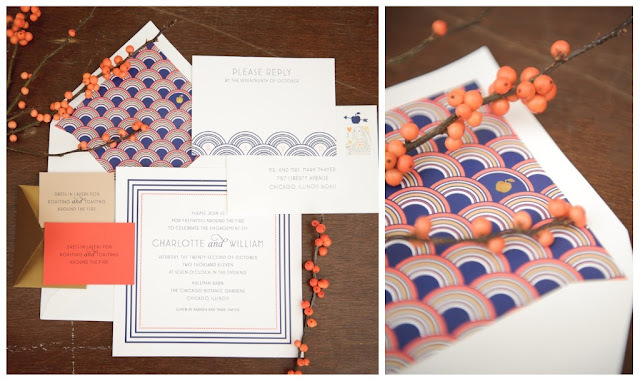 Isn't this navy & coral palette just divine? 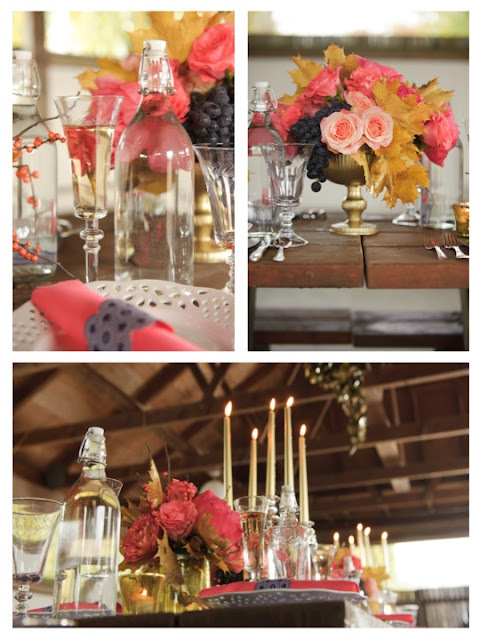 And those rustic picnic tables combined with the fancier table decor is just to die for!! How about those custom placemats? 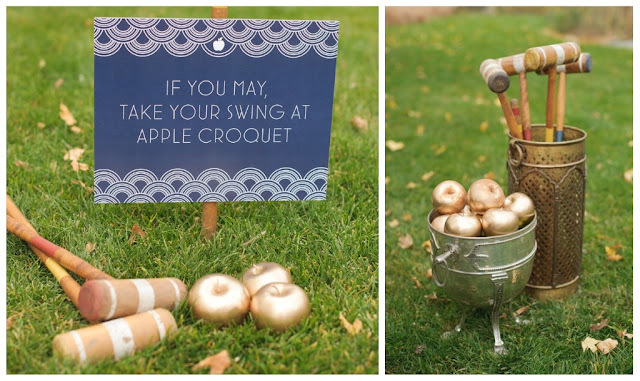 Care for a game of golden apple croquet? 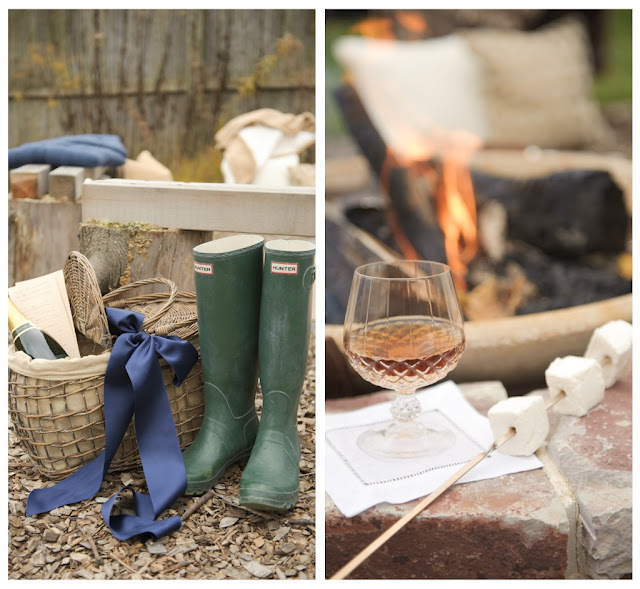 These customized mad libs about the couple were read aloud around the fire, once dusk turned to evening . . . 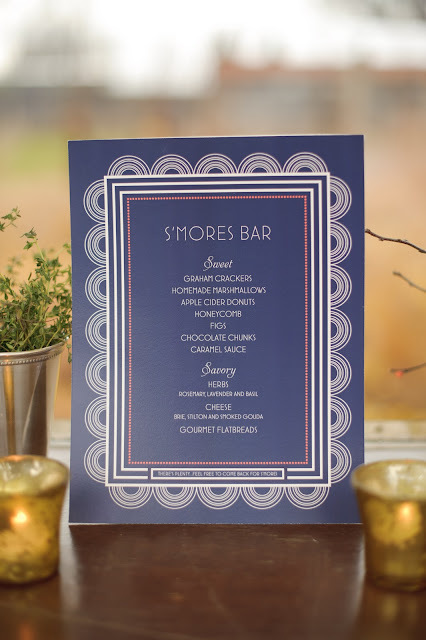 The smore's spread included sweet items like cider-spiced donuts, gourmet grahams, home made marshmallows and salted caramels, fresh herbs and savory items like cheeses paired with delicious crackers and fresh honeycomb. 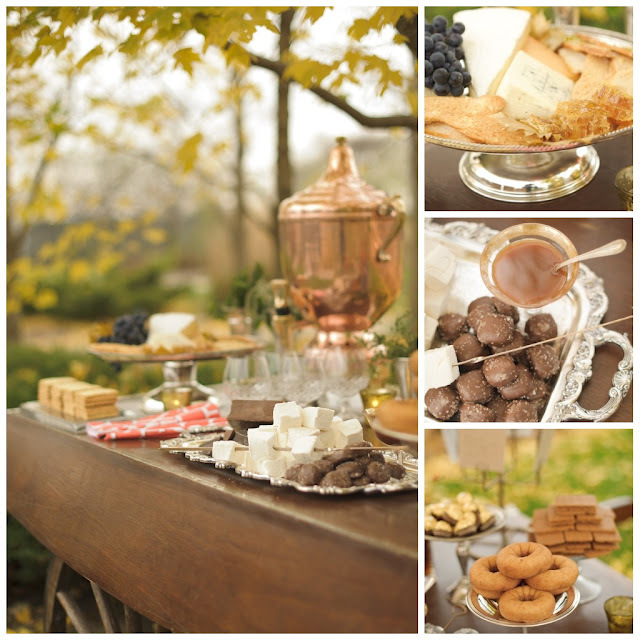 Guests paired their treats with cider or cordials. 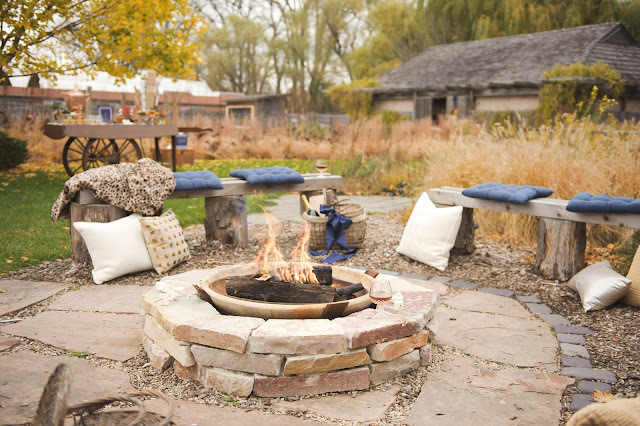 Toss a few pillows and cozy throws around the firepit for an evening of fun . . .
Now wasn't that just truly divine? I know you are enjoying summer and all of the beach time, swimming, sun bathing, and cooking out that goes along with it...but you just can't help looking forward to winding things down when you see something as lovely as this, right? concept, color, prop and set design by bliss. all photography by averyhouse. 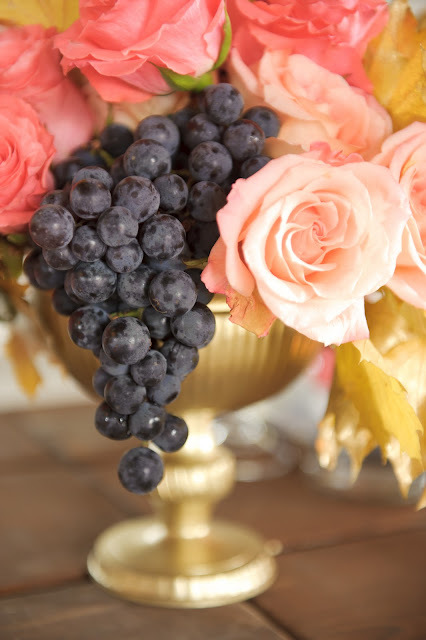 floral styling by cornelia mcnamara. printables by cheree berry. 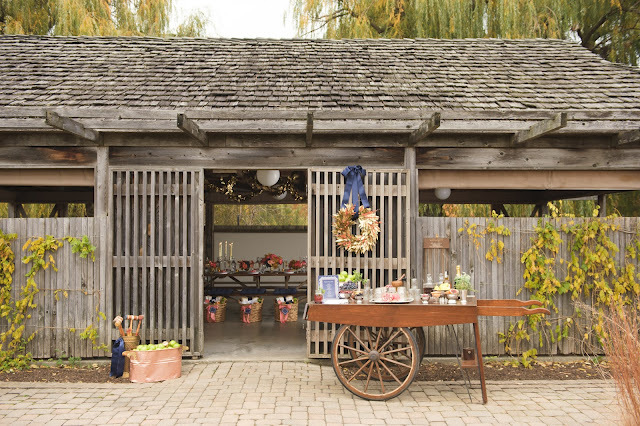 setting and tables compliments of the chicago botanic garden. 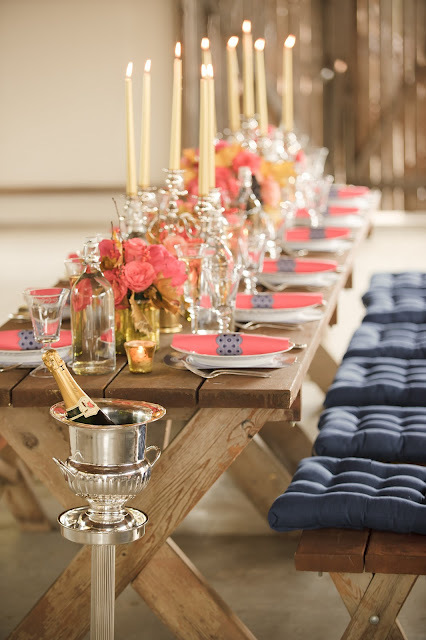 Rentals provided by tablescapes. Oh my goodness, this is absolutely lovely! 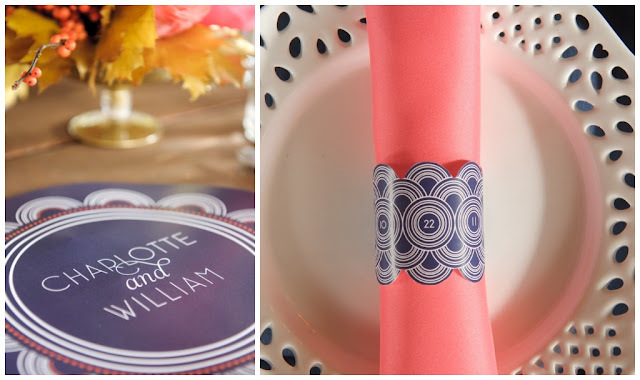 So much to love, but those gift basket "place cards" are such a creative idea!